Are you a GP with acute medicine skills? We have a vacancy for GPs with current emergency skills in a wonderful rural community in central NSW. We are looking for a GP with current emergency medicine skills (holding an ALS/ACLS etc... completed in the last 2 years) to join the current doctors in delivering a high quality, integrated health service to this busy rural community. The doctors have a real focus on keeping the local population out of hospital and are achieving this with the quality of primary care they offer. They also host medical students and an interest in this area would be well received, but is not essential. The practice facilities, equipment and staff are tremendous, with high quality primary health care services provided to all patients. The medical centre is accredited and is backed by a highly effective practice support team of nurses and receptionists led by an experienced and efficient practice manager. The medical centre is open Monday to Friday within normal business hours, with no after hours requirement aside from the expectation that you will provide GP/VMO roster coverage, roughly 1:3. An interest in teaching medical students. Desire to act in a senior GP capacity. An interest in chronic disease management. 100% of any GPRIP retention grants available. The area known as New England starts at Newcastle and follows the Great Dividing Range up to the Queensland border. The landscape is very impressive and you get to see a bit of the real Australia and the small country towns. The area is a large farming region and has some good bushland walks. It is worth heading further inland from the Pacific Highway and travelling along the New England Highway, to see the diversity of Australia's country. There are plentiful National Parks throughout New England and some beautiful waterfalls and gorges. Here you can find the Ayers Rock of New South Wales at the Bald Rock and Boonoo Boonoo National Park. 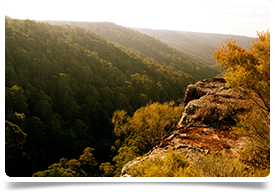 Gibraltar Range and Walshpool offer spectacular scenery, while Guy Fawkes River is great for both bushland walks and canoeing. New England and Cathedral Rock offers great landscape, but for some amazing and beautiful waterfalls visit the Oxley Wild Rivers.